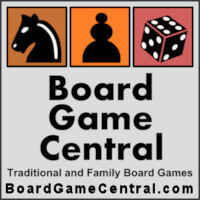 The latest news in the world of board games: Board Game Popularity, Gaming Cafes, Mind-Bending Board games, and more board game news and reviews. Learn about a new startup game company that is attempting to revolutionize the way that kids learn, but using games as a central part of the educational process. It's always fun to see what other people think of as the best board games of the year, and why. Here are some opinions. A quick recap of some recent board game reviews of note, this time out featuring the deck-building game Trains, the cooperative game Ghost Stories, and the party game of Telestrations.